Wild shrimp was on sale at my grocery store, so of course I had to take advantage. 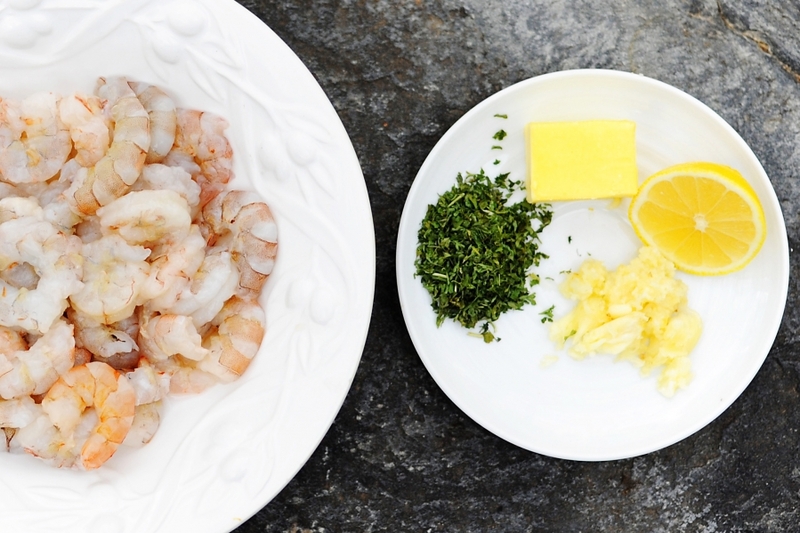 I love grilled shrimp, it’s one of my favorite meals, but since Scott wasn’t around to grill (I won’t touch the Big Green Egg), I needed to figure out another way to make the shrimp. I’ve never made scampi before, and now, I’m just trying to figure out why I waited to long. It was delicious! Start by doing my least favorite part, cleaning and de-veining your shrimp. Then pat dry with a paper towel and add salt and pepper. 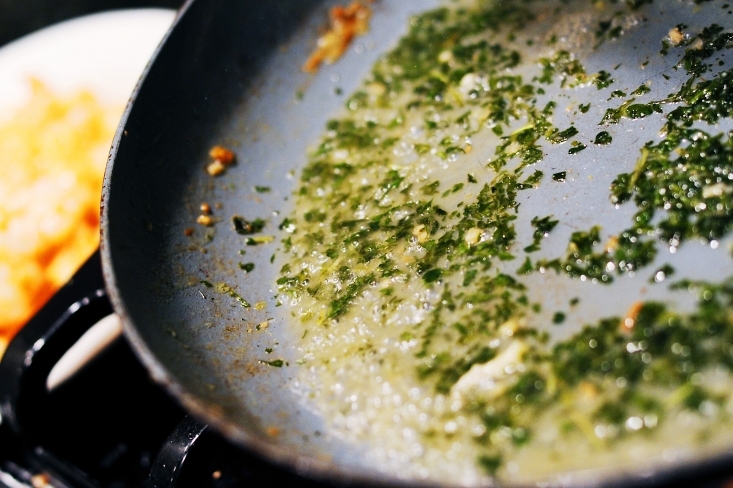 Next add the butter to a hot pan, and as soon as it starts to melt, add your garlic and let that cook 1 minute. Oh, the smell is fantastic! Okay, now add your shrimp and cook about 3 minutes until no longer pink and now set aside. Now, pour the wine, parsley, lemon juice and zest (Yes! I got to use my new juicer and zester thanks to a thoughtful friend!) in pan. 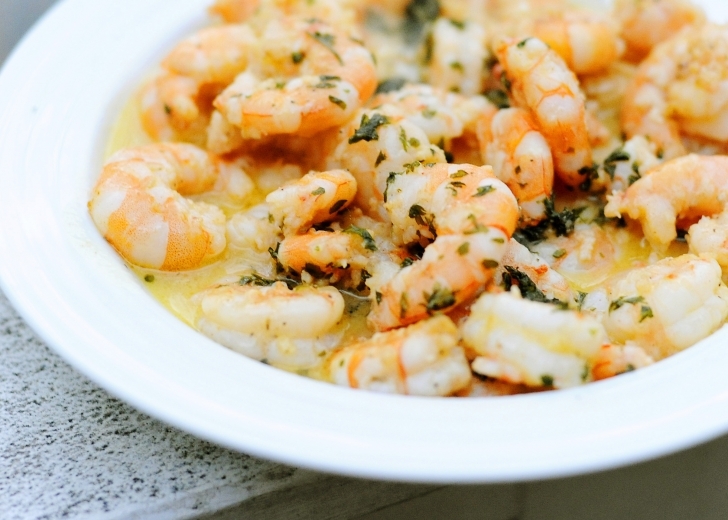 Let it cook for about 45 seconds until it thickens, and then pour over your shrimp. Yum!! I think next time I will make at least 2 lbs worth. It was so good we were all eating the garlic out of the sauce when the shrimp was gone. I bet it would go really well over cauliflower rice too. Oh, and did I mention dessert? My son is “Leader of the Week” at his school, so I needed to make a portable snack for his class for tomorrow. You may know I love chocolate and fruit (it’s good and fun) for class treats so this wasn’t that different but since I’m sending in the snack, I thought this would work well. All I did was make mini fruit kabobs with a toothpick, melt some dark chocolate chips and about 1 tsp of coconut oil in a bowl. Then just drizzle until they’re pretty well coated. I’m going to use bananas too but have to wait until the morning so they don’t turn brown. Alice doesn’t love blueberries so she used pears tonight for a change and that was really good too!